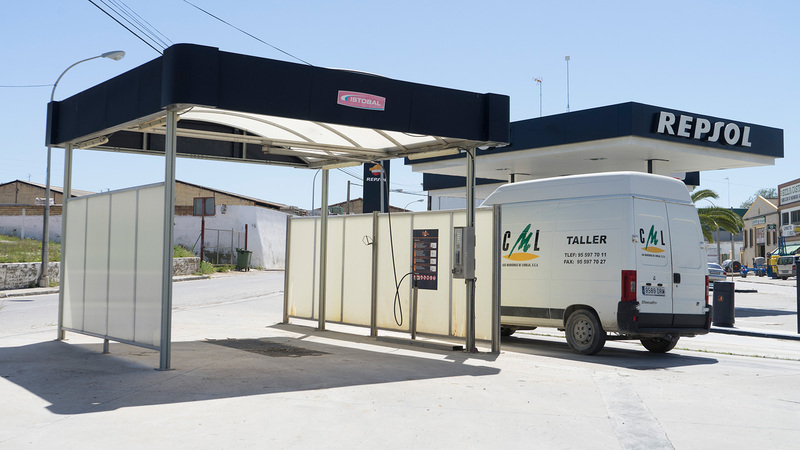 Las Marismas de Lebrija SCA has several petrol stations that supply diesel for agricultural vehicles. We supply petrol and diesel fuel for motor cars and agricultural vehicles, as well as derivatives thereof. We work with internationally recognised products, which give peace of mind knowing that the best fuel in the market is being used. A diesel fuel station affiliated with the Repsol network is located at Avenida Andalucía in Lebrija (next to the former railway station). It consists of a high-pressure car wash, a well-stocked shop for you and your vehicle, and a multi-fuel petrol station with several pumps. We offer premium quality products from an internationally recognised company at the best price in the county. By using “Solita”, our SOLRED card for Las Marismas de Lebrija SCA customers, you can save 12 CENTS PER LITRE when you refuel at our station. You will not find a better discount in the area or a cheaper agricultural diesel. Find out more and request our card from the Administration Department, and enjoy the peace of mind of using the best fuel at the best price. Las Marismas de Lebrija SCA offers the possibility of refuelling agricultural diesel 24-7, 365 days a year, at our self-service points. You can refuel agricultural diesel both at our corporate headquarters at Polígono Industrial Las Marismas and at Las Marismillas service station with the peace of mind that they are always open. You only have to buy a special card for this type of fuel, and use it to refuel your machinery or tractor at the pump without problems. We have the most competitive price in the market. Find out more and request our agricultural diesel card from the Administration Department.